Let's face it, connecting rods rarely come apart easily. That is until now. Quickly loosen the cap from the rod without damage using PROFORM's new Heavy-Duty Rod Splitting Tool. Simply remove the rod nuts, place the rod onto the splitting fixture, and pull the handle. Portable, for use with your bench top vise. Tech Specs: Mandrel diameter 2.150", Mandrel at max extension: 2.750". 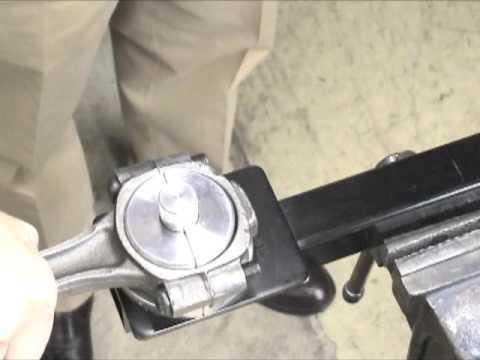 Tap the side of cap with a brass hammer while using the tool for stubborn bolts. Let's face it, connecting rods rarely come apart easily.